Sale! 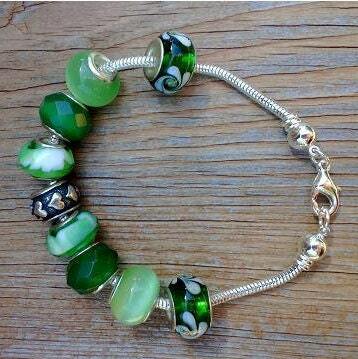 For St. Patrick's Day - only $15! 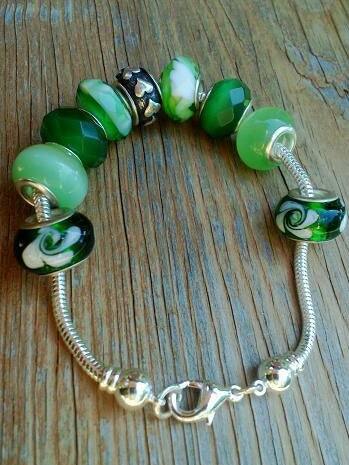 The greens of spring, of hope, of new beginnings...Chunky and fun to wear too! 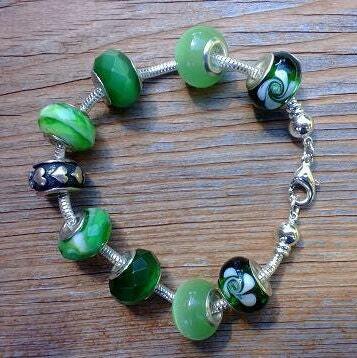 Cat's eye, glass, and silver-plated pewter beads are used. The silver-plated chain bracelet measures 7.5 inches in length and has a lobster-claw clasp. 8 inch bracelet is also available...just ask!